The Marceno Rosewood Perpetual Plaque 12 Black Plates. Rosewood piano finish with 12 black/gold plaque black brass engraving plates with matching header. 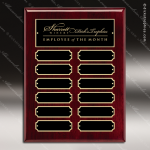 Individually boxed. 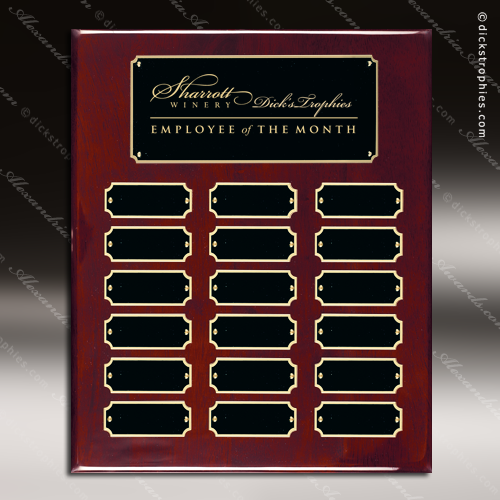 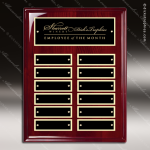 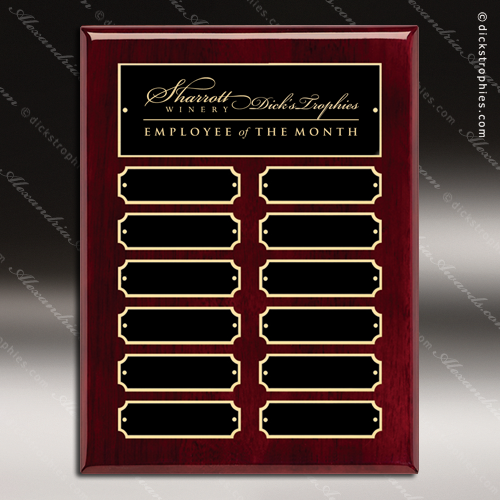 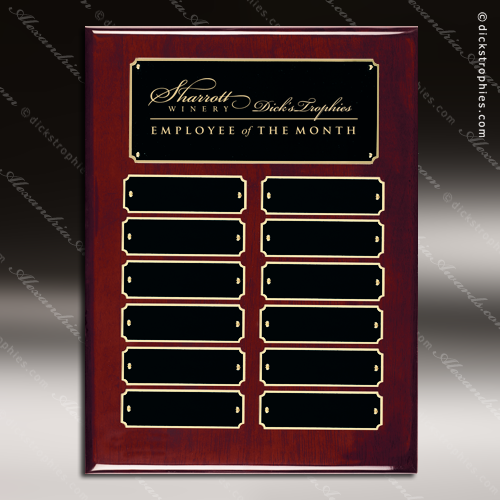 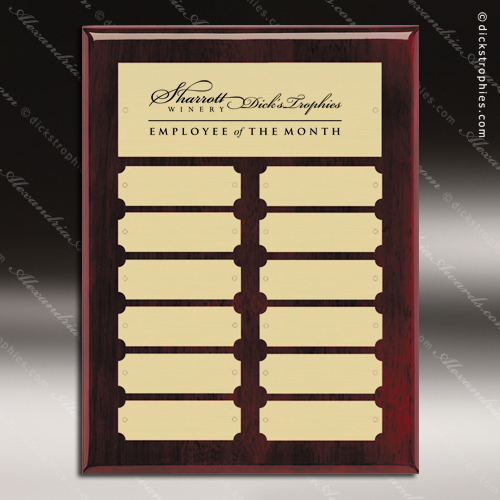 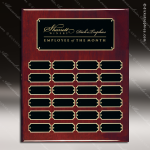 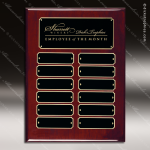 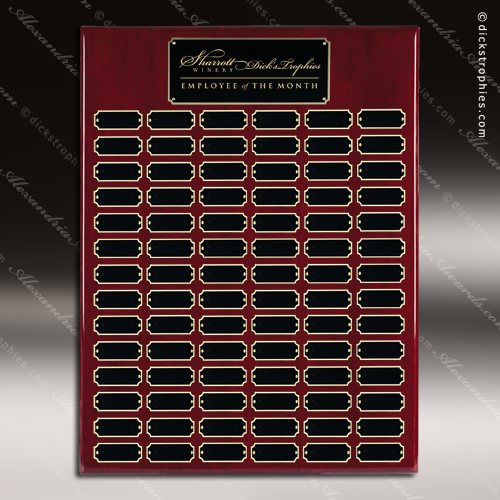 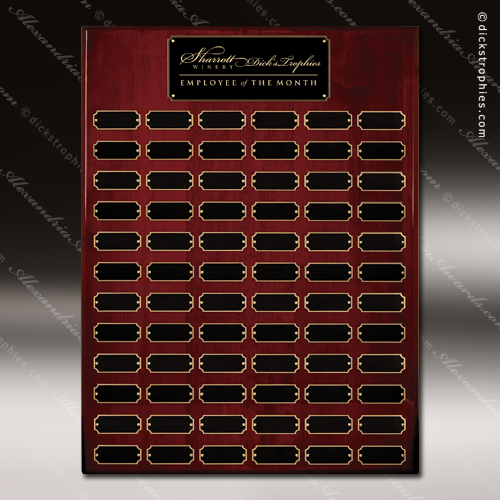 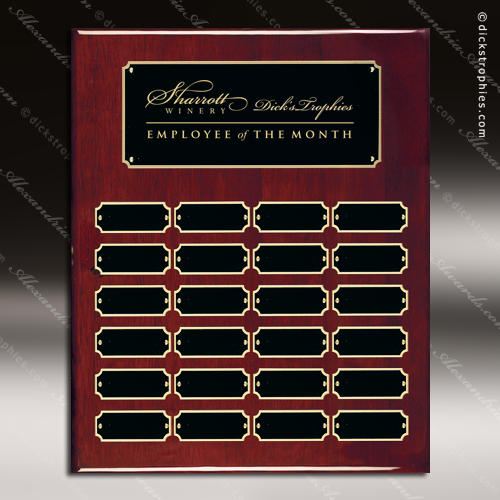 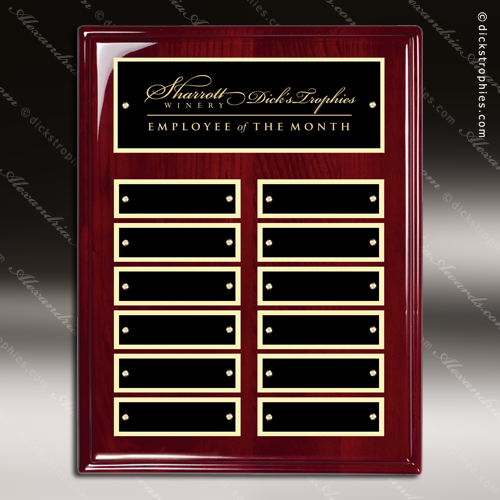 A Monthly perpetual plaque is an excellent choice to recognize people on your office wall of fame. Award and Recognize employees, church members, sales staff, donors or students. When one perpetual plaque award is filled up, start a new one for the new year and award the next 12 months of achievements.